In the coaching world, timing is everything. Urban Meyer stepping away from Florida in 2011 made him available to take over at Ohio State in 2012. Now, the hope for Ohio State is that timing will once again prove fruitful. 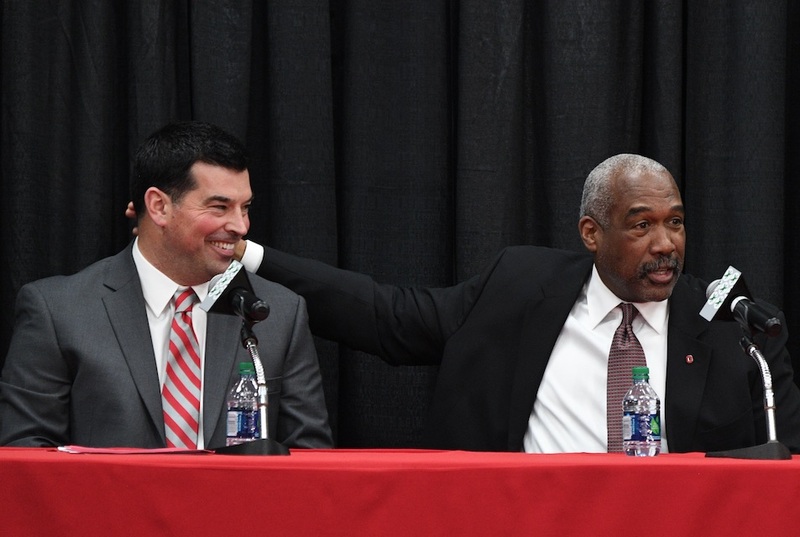 With Meyer mulling a season-long decision to retire, OSU athletics director Gene Smith spent some time this season mulling over possibilities. When looking for Ohio State’s next head coach, however, you don’t really have to delve too deep. There are only a small handful of candidates for such a job at any given time. The fact that one of those candidates was already at Ohio State was a huge advantage. The way Day got the football program through summer camp and also through the first three games this year without Urban Meyer was about the best audition an assistant coach could have. This wasn’t just a convenience hire, however. The football program and foundation that Urban Meyer has built is in such a good place right now that it should be able to continue without him. His fingerprints are still everywhere, and they will remain so. In fact, that’s one of the reasons why Ryan Day was the best choice for this job. Meyer’s formula is proven. Day has learned from the best and there is no need to fix what isn’t broken. Gene Smith wanted a seamless transition and hiring Day was the best way to make that happen. Day leading fall camp and then being Ohio State’s head coach for the first three games this season gave him a perspective that only five other men have experienced in the last 60 years. Being Ohio State’s head coach is a tall task, but it may not scare anybody off until they actually have it. For Day, his taste this past summer only gave him a greater appreciation for the opportunity he now has. Smith likes the fact that Day understands Ohio State’s higher purpose, which is developing the total student-athlete. Day has seen it work first hand and he has the confidence and passion to continue what was started before he arrived. His values match those shared by Gene Smith and Urban Meyer as they worked to enhance the experience for each student-athlete at Ohio State. But it still comes down to one thing. Day obviously understands wins and losses and the importance of each, but he also understands what this job means to those inside and outside of the walls at the Woody Hayes Athletic Center. “We understand what Buckeye Nation is,” Day said. #2 FIRE.STRUD get a.much better OL coach that can recruit very well and quickly. We have had a lot of misses because of Strud. We will not accept a defense that is even half as bad as this year and not even for one year. Take note of that. That trash can not happen again at OHio state. Period. One of the failures of this season was that Tate wasn’t able to play that much. I do believe that Tate can light things up from the air, but not to Haskin’s tune. However, Tate is a star in his own right. I see him more like the Johnny Manziel show, however, Tate is a star from Las Vegas Johnny Manziel was a shooting star that crashed in Las Vegas. In Urban we used to trust, now in OSU’s AD and admin do we trust, and Day is part of that. If Haskins goes pro (high probability), the offense will be different with Martell or any other QB. I don’t think we will see many 400+ passing games. 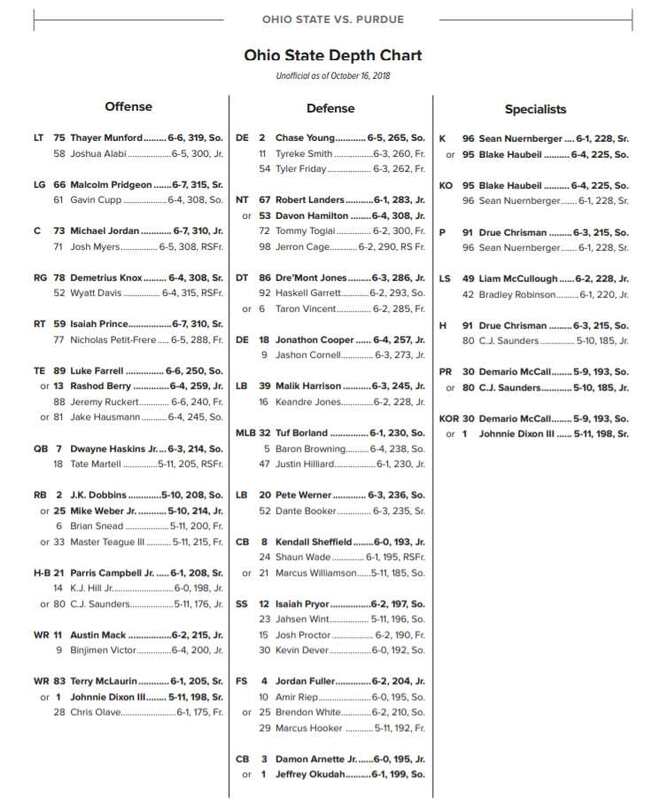 So, the running game will have to better – I liked Day’s up tempo offense in the first 3 games. The defense will have to limit those big plays. Penalties need to be reduced by 50% or more. DISCLAIMER – I have never coached football at any level. So, these are fan thoughts not coach thoughts.